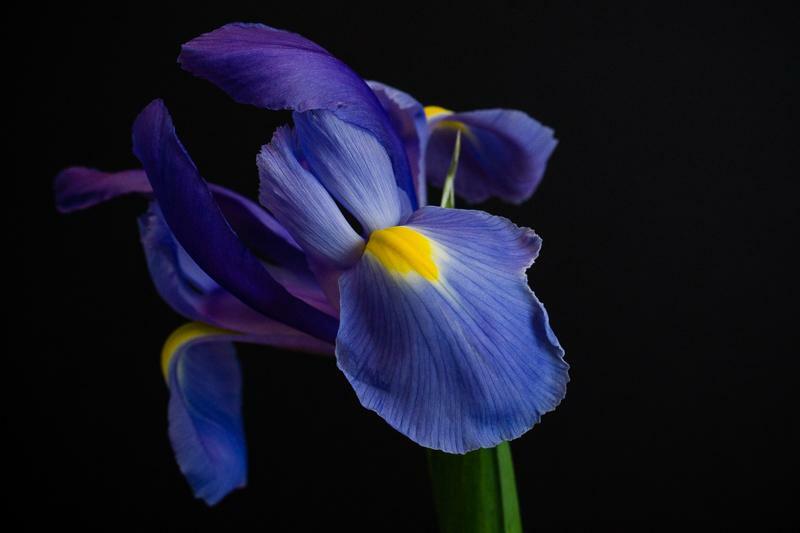 I named this photo of the Iris “Whimsy” because the tilt of the bloom gave it an off-kilter yet still elegant appearance. I often say that photographing flowers is a lot like photographing people – they each have a distinctive presence and petals and skin share similarities in terms of how they reflect light. You will notice that this flower, though elegant, is not perfect. One petal is both torn and has a slight bruise. I left them as they are purposely. Life is not perfect, people aren’t perfect, but imperfection does not mean there is an absence of beauty. Not at all.